The significant surge in the male grooming industry has opened doors to men that were, perhaps, priorly (albeit wrongly) stigmatised. It’s now ‘acceptable’ for men to be seen making a conscious effort to look after themselves. 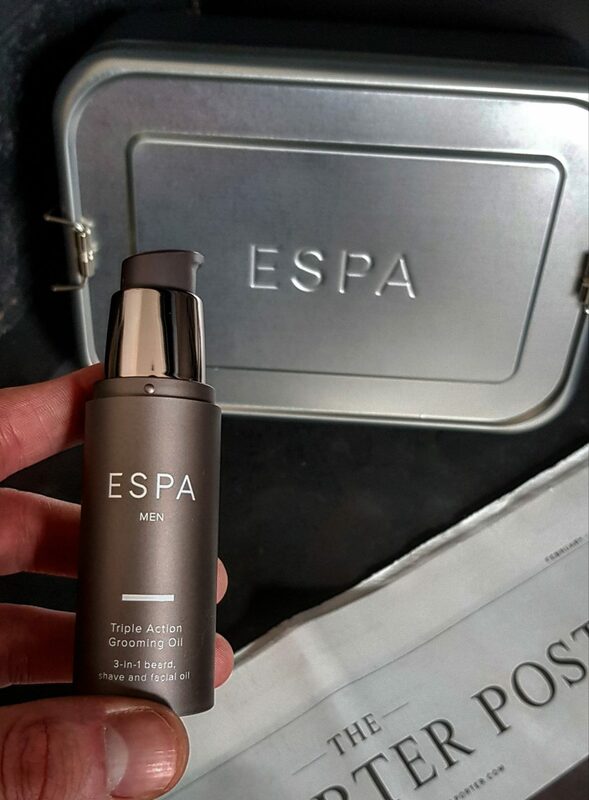 ESPA, pioneers in holistic well being, are making it even easier for us gents to look and feel our best. With their latest range of products including the ultimate grooming collection, along with the ESPA triple action grooming oil… ESPA really do have the modern gentleman covered. When I think of ESPA, I think of luxury; luxury spa treatments and luxury skincare products, all designed to protect the long term health and beauty of the skin. The latest ESPA MEN products are no different. Through a combination of washing and moisturising these hard-working skin essentials will help guys touch up their grooming regime with precision. 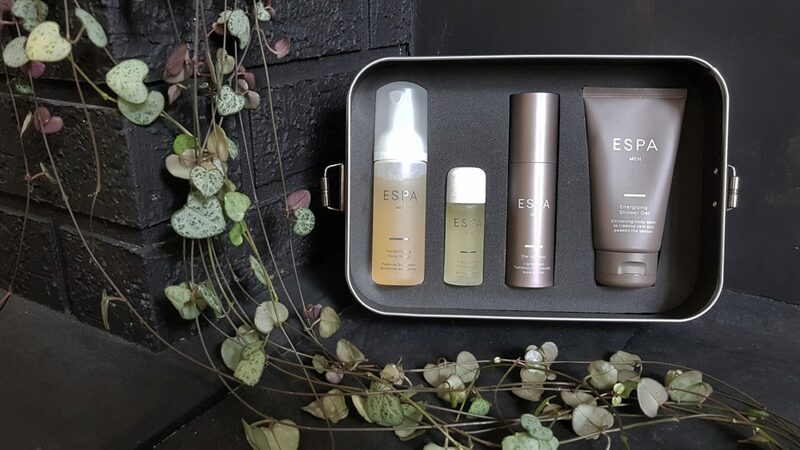 ESPA have developed the ultimate gentleman’s grooming collection combining their knowledge of traditional holistic therapies and the scientific power of the purest natural ingredients from around the world. As I initially unboxed the set I was immediately struck by the stunning scents synonymous with ESPA. I was instantly transported to previous spa experiences with the brand and an inner sense of calm engulfed me. Inhaling aromas helps you to naturally take a deep breath in, which helps to calm and relax your body and mind. Invigorating Face Wash – A refreshing foaming facial wash to deeply cleanse and purify while leaving skin feeling soft, supple and comfortable. Energising Shower Gel – An intensely enlivening body lotion to hydrate and soften the skin, while awakening the senses with an uplifting aroma blend. The Hydrator – A lightweight moisturiser for long-lasting hydration that works to nourish and soothe the skin while helping to provide protection from environmental pollution. ESPA Triple Action Grooming Oil – A 3-in-1 beard, shave and facial oil to help hydrate and protect skin while smoothing and conditioning bristles for the ultimate close shave. Now, as I consider myself a bit of a beard aficionado, I want to take the time to champion the ESPA triple action grooming oil in particular. I’ve had the privilege of trialing some of the latest beard oils brought to the market and found myself fortunate enough to be invited to some of the most iconic barbers around London and I would be more than happy to recommend the ESPA triple action grooming oil. 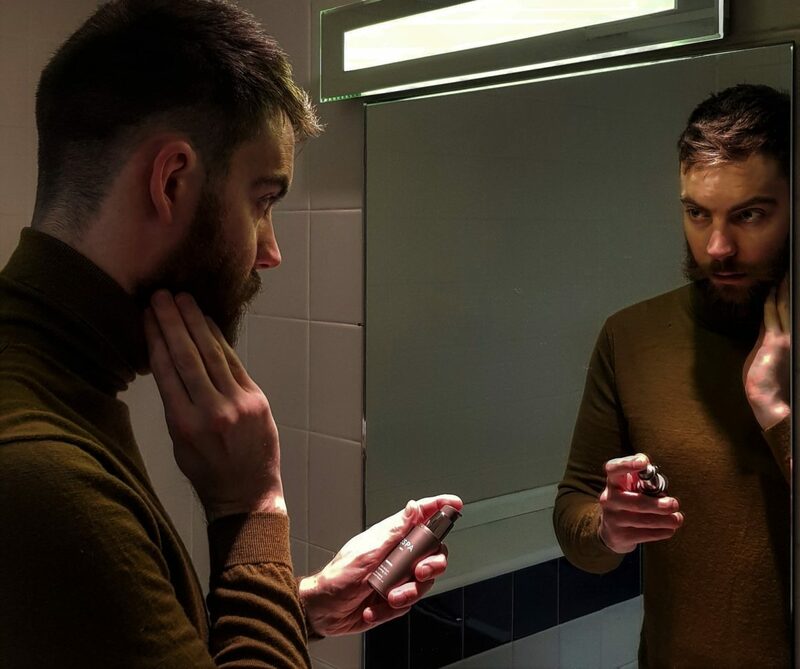 I’m always looking to keep my beard and skin in the best possible condition and the the triple action grooming oil helps me do this as a standalone product. The grooming oil contains Candeia Tree and antioxidant Prickly Pear extracts which calm skin while helping protect against the elements. On top of this, Omega 3 and 6 Oils, along with Vitamins A and E, nourish, and Kahai Oil deeply hydrates, smooths and re-energises. 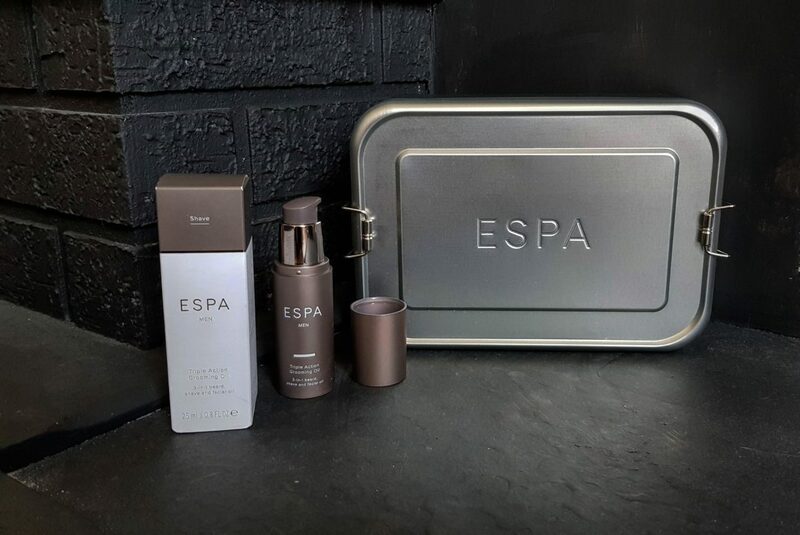 I’ve always been a fan of ESPA, which is why I was so excited to explore the latest products from their MEN range. After experiencing the luxury items mentioned above, I was delighted that the expertise behind ESPA has stayed true to the origins of the brand and produced a set of innovative, natural and effective products. Check out more of our lifestyle and competition features here.